Preheat the oven to 350°. Spread the pecans in a pie plate and bake for 10 minutes, until toasted. Let cool slightly. Using your hands, break the chocolate wafer cookies into large pieces over a food processor bowl. Add the cooled pecans and pulse until fine crumbs form. Add 1 cup of the confectioners’ sugar to the food processor along with the cocoa and kosher salt. Pulse until combined. Scrape into a large bowl. In a small saucepan, combine the corn syrup with the honey. Bring to a low simmer over moderate heat, until the mixture is looser and more liquid, about 2 minutes. Remove the saucepan from the heat and whisk in the rum. Pour the rum into the bowl with the chocolate. Using a rubber spatula, stir until well combined. Using a fine mesh sieve, sift the remaining 1/2 cup of the confectioners’ sugar into a shallow bowl. Line a rimmed baking sheet with parchment paper. Using a tablespoon, scoop 32 portions of the chocolate mixture and shape into balls. Working in batches, roll the rum balls in the confectioners’ sugar, gently shaking off the excess. Return to the prepared baking sheet. Cover the baking sheet loosely with plastic wrap and refrigerate until chilled, at least 25 minutes. Serve cold. 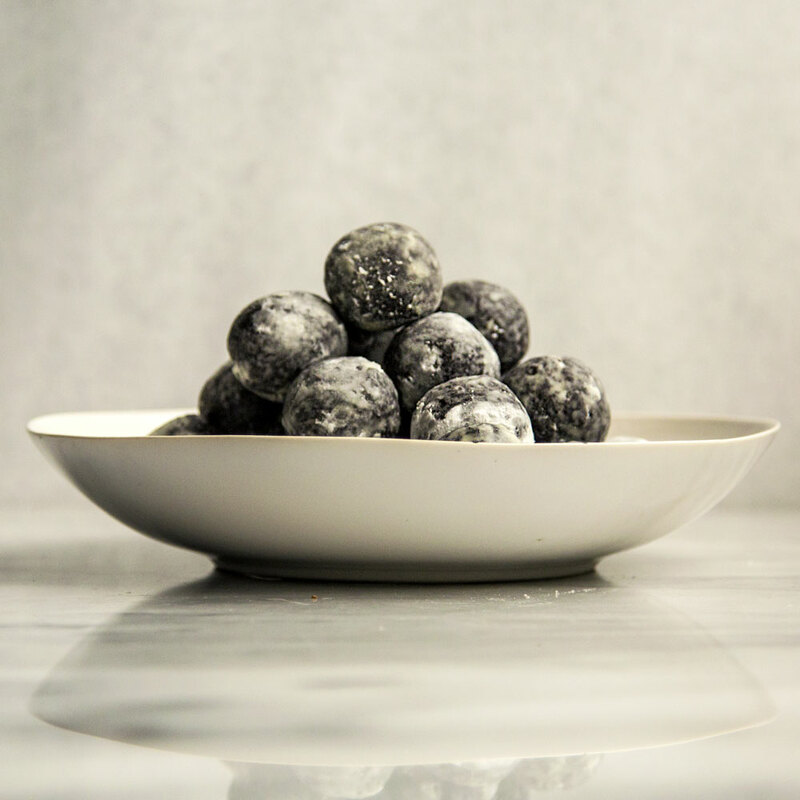 The rum balls can be refrigerated between layers of parchment or wax paper in an airtight container.